Jack Bauer is an incredible agent, and despite being considered a traitor to the US and a wanted man, he continues to act as such. With tactical gear, com operations, access to London’s extensive CCTV system (the best in the world), his trademark bag of stuff, and his keen sense of observation and general awesomeness, Bauer will do whatever it takes regardless of his status within the US government. 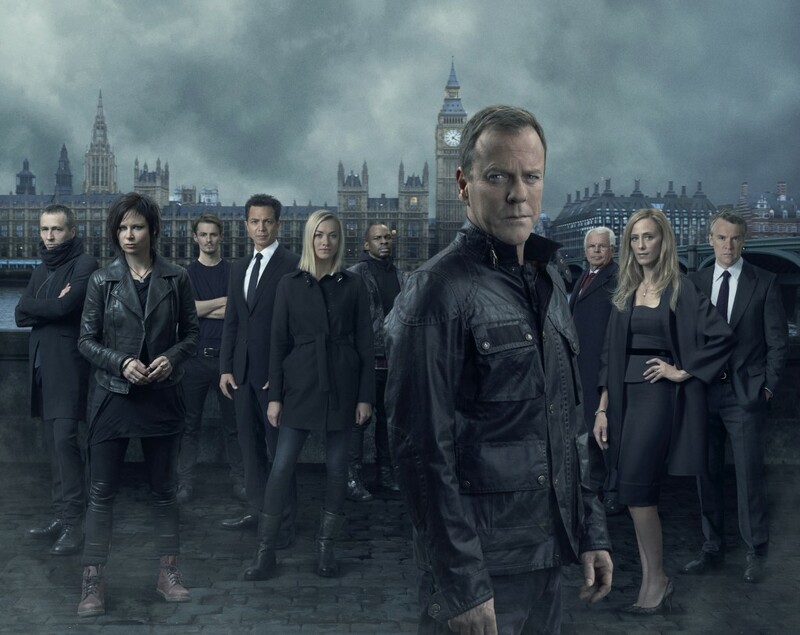 In this episode’s final scene, perhaps the most thrilling, morally complex, and Bauer-y scene of this new season so far, Jack Bauer’s attempt to access the US Embassy in London via a fake security card that Chloe’s hacker team made is thwarted by Adrian Cross, who encodes the fake card with inaccurate credentials. Cross’ real intentions remain to be seen (is he just screwing with Jack because he finds him rude or is he actually a villain? ), but Bauer has to respond in kind. With the massive anti-drone protests occurring outside of the embassy, Jack steals a gun from a guard and begins firing shots, hitting at least one protester in the leg. He screams, “they’re shooting at us!” which causes a riot to erupt, allowing Jack the access he needs into the embassy just as Kate and Erik arrive and scream his name. Creating this kind of chaos, and potentially seriously injuring a random protester are not moral decisions, yet Bauer only looks towards the greater good. He must stop the attacks and he sees this as his only way. Earlier in the episode, Jack remains on the trail of Yates’ “girlfriend,” who we learn is named Simone Al-Harazi. Jack eventually loses Simone due to an error by Chloe, allowing her to escape back to her family. One of the most striking things about last week’s two part premiere was Chloe’s new appearance. I, among many others, likened her to Lisbeth Salander (“The Girl With The Dragon Tattoo”), and in a strikingly emotional scene we learn that Morris and Prescott, Chloe’s husband and son, were killed in a car accident. Chloe is positive that this was an intentional murder and that she was the target because she was aware of what occurred on the day of Jack’s disappearance. Chloe and Jack share an intimate scene of understanding – the actions these two have taken over the years to “save the world” have destroyed both of their lives in unique ways – before heading back to Adrian and his team for further assistance in deciphering the remaining data Chloe was able to get from Yates’ flash drive. I like that we understand what Chloe has been through so early on; her appearance is an outward manifestation of her pain, and her new “job” is an action against the US that she feels comfortable taking. 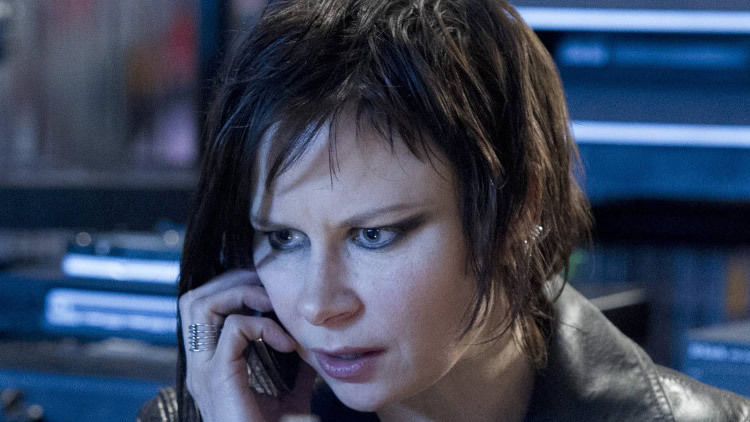 Rajskub was not often tasked with heavy emotional lifting in earlier seasons, but she delivers here and her and Kiefer continue to have strong chemistry. Meanwhile, Simone makes it back to her mother, Margot Al-Harazi, just as we learn of their deep connection to Al-Qaeda. We meet Simone’s brother, Ian, and her husband, Navid. Ian seems to be the tech of the family, and he needs time to alter Yates’ device to work with his system (of course). Margot is a chilling presence, and the country estate they are all living in is rather cult-like. Simone, Ian, and Margot all seem simpatico and determined to carry out these attacks. Navid, meanwhile, who is secretly drinking alcohol, is having moral issues regarding the multitude of deaths these attacks would lead to. Simone attempts to quell his issues by using her feminine wiles, and a rather interesting – and creepy – dynamic is developing under Margot’s roof. Margot, meanwhile, watches everything that goes on in her house via camera. She is one scary lady, and Michelle Fairley is up to the task. Erik is finally beginning to see Kate’s sharpness and worth as an agent, which makes him question her oversight on her husband all the more. His inquiry is sincere, though, and I like that these two are seeing more eye to eye. Kate kidnaps Boris against Navarro’s wishes, and using some clever tactics gets him to talk about Yates, Tanner, and the drones. I have a feeling that Kate is going to be the one to put everything together and come to understand that although his methods are dangerous, Jack is actually up to good. Speaking of Tanner, we see him arrive at the US embassy. Heller is planning on handing him over to the British to be interrogated, but Kate and Erik are now hoping to get to him first. Finally we have POTUS Heller. Boudreau, who forges Heller’s signature on Jack Bauer’s rendition documents (I told you he wasn’t a particularly good guy), tries to use Audrey to convince her dad not to go through with facing British Parliament in this tough time. As Boudreau and Audrey struggle for control of the President (and to a lesser extent Boudreau’s slimy assistant Ron Clark, played by Ross McCall and his odd voice), Heller takes matter into his own hands. He will not succumb to his disease; he will fight for what he believes in. Even the British Prime Minister himself asks Heller to see reason, but in a poignant moment Heller paraphrases the great Winston Churchill quote, “You have enemies? Good. That means you’ve stood up for something, sometime in your life.” Jack Bauer may be our hero, but so far Heller is proving to be the heart of this young season of 24 and I can’t wait to see what happens next.